Born in Reykjavík, Iceland in 1959. She studied art in England from 1980 to 86, and has been active as an artist since then. She had her first solo exhibition in The Living Art Museum in Reykjavík in1986. Ráðhildur Ingadóttir’s approach to art includes text, drawings, sculpture, wall paintings and videos and often these elements are incorporated into expansive installations. She has through the years exhibited extensively in Europe. Ráðhildur Ingadóttir was a regular visiting lecturer at the Iceland Academy of the Arts from 1992-2002. She was a member of the board of the Living Art Museum in Reykjavik from 2000 to 2002. She has also curated a number of exhibitions. Ingadóttir has been awarded artist grants and traveling grants in Iceland and Denmark. She now lives and works in Copenhagen and Seydisfjördur. 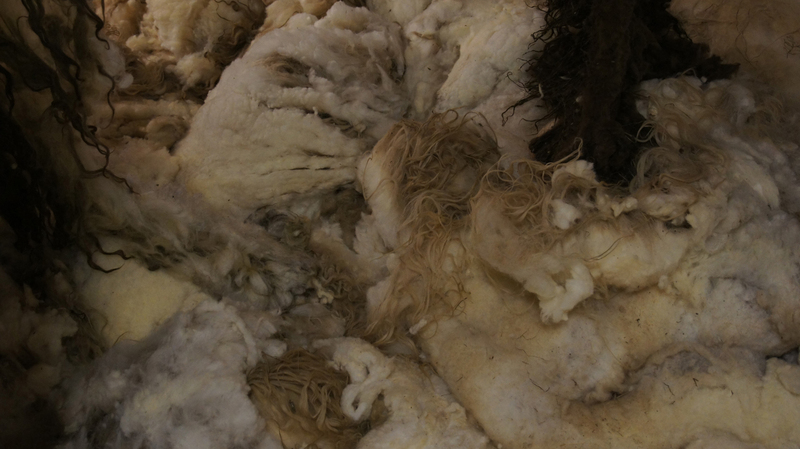 She is currently an honorary artistic director of Skaftfell – Center for Visual Art in East Iceland.Icelandic artist Ráðhildur Ingadóttir’s exhibition Embrace (Layers of Time) is composed of raw sheep wool installed directly onto the gallery’s walls, ceiling and floor. From inside the masses of wool a mixture of music from different times and places can be heard. The wool has an intense smell and a powerful precence.The effect is an all consuming environment which is suggestive of a variety of references but remains ambiguous.In this context there is a visceral meeting of the corporal world and the realm of ideas, and perhaps suggestive of Blaise Pascal’s appreciation of the human condition: “what is man in nature? He is nothing in comparison with the infinite, and everything in comparison with nothingness, a middle term between all and nothing.